After the great miracle that God did through Elijah the prophet, in front of the prophets of baal, he gets frightened by Queen Jezebel and wants to die. Elijah took his eyes off God and His mighty power and put his eyes on the problem. 1. And Ahab told Jezebel all that Elijah had done, and withal how he had slain all the prophets with the sword. 2. Then Jezebel sent a messenger unto Elijah, saying, So let the gods do to me, and more also, if I make not thy life as the life of one of them by to morrow about this time. 3. And when he saw that, he arose, and went for his life, and came to Beersheba, which belongeth to Judah, and left his servant there. 4. But he himself went a day's journey into the wilderness, and came and sat down under a juniper tree: and he requested for himself that he might die; and said, It is enough; now, O Lord, take away my life; for I am not better than my fathers. But God does not leave His servant alone. God sends an angel to feed Elijah the prophet. 5. 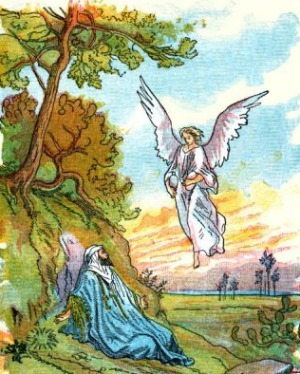 And as he lay and slept under a juniper tree, behold, then an angel touched him, and said unto him, Arise and eat. 6. And he looked, and, behold, there was a cake baken on the coals, and a cruse of water at his head. And he did eat and drink, and laid him down again. 7. And the angel of the Lord came again the second time, and touched him, and said, Arise and eat; because the journey is too great for thee. 8. And he arose, and did eat and drink, and went in the strength of that meat forty days and forty nights unto Horeb the mount of God. 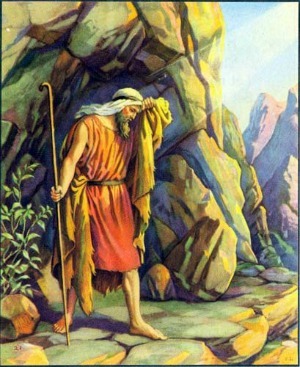 Elijah the prophet then travels 40 days to a cave where God talks to Him and tells him what to do. 9. And he came thither unto a cave, and lodged there; and, behold, the word of the Lord came to him, and he said unto him, What doest thou here, Elijah? 10. And he said, I have been very jealous for the Lord God of hosts: for the children of Israel have forsaken thy covenant, thrown down thine altars, and slain thy prophets with the sword; and I, even I only, am left; and they seek my life, to take it away. 13. And it was so, when Elijah heard it, that he wrapped his face in his mantle, and went out, and stood in the entering in of the cave. And, behold, there came a voice unto him, and said, What doest thou here, Elijah? 14. And he said, I have been very jealous for the Lord God of hosts: because the children of Israel have forsaken thy covenant, thrown down thine altars, and slain thy prophets with the sword; and I, even I only, am left; and they seek my life, to take it away. 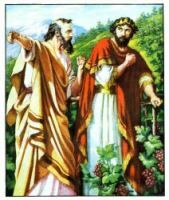 God then tells Elijah to go and speak to King Ahab about how he had killed Naboth so he could have his vineyard. of Nebat, and like the house of Baasha the son of Ahijah, for the provocation wherewith thou hast provoked me to anger, and made Israel to sin. 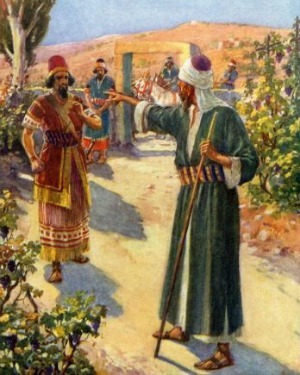 This story, about Elijah the Prophet, shows that God is merciful to those who repent. He showed mercy to Ahab just like He showed mercy to the people of Nineveh.